body it results in a sickness known as Cholera. HOW DOES THE CHOLERA GERM SPREAD? The most common spread of is through drinking contaminated water. This is followed by use of untreated water for household purposes e.g. to wash and cook food. By infecting anything touched if hands are not washed after every toilet visit. Contact with an infected person’s stools and/or contaminated clothing and bedding. Further contamination of water by washing contaminated items or throwing infected water back into main source e.g. river. Constant runny stomach, mostly painless but very watery. Muscle cramps, especially in the legs and arms. The body loses water, natural salts and sugars because of diarrhoea and vomiting. If these elements are not replaced, a person will dehydrate very quickly. Dehydration is very dangerous and could lead to coma and death within a few hours! HOW CAN CHOLERA BE AVOIDED? Always drink only “treated water’ i.e. boiled or disinfected. Only eat food that is well cooked and eat it while it is still warm. Only use ‘treated water’ to wash and cook fruit and vegetables before eating and where possible, avoid raw or unpeeled fruit and vegetables. 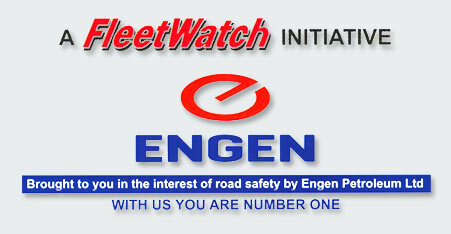 Do not wash in streams, rivers or dams – rather use facilities provided at Truck Stops. Wash your hands before and after working with food. Always wash your hands after using the toilet. 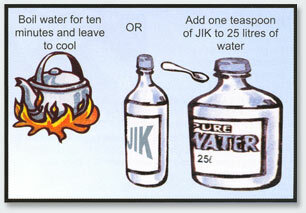 Add 1 teaspoon of Jik or Javell to 25 litres of water. 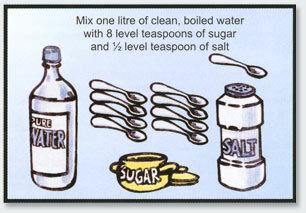 Mix one litre of clean, boiled water with 8 level teaspoons of sugar and ½ level teaspoon of salt. Start to give them as much of this mixture as possible, at least two cups after each stool and seek professional medical attention immediately.